Our goal is to provide motivated and energetic people with opportunities to create exciting and memorable experiences for our campers and for themselves. We have jobs available in the following areas. Check them out!! The position of cabin counselor is Camp Walt Whitman’s epitome of a Renaissance person. Our cabin counselors are invaluable staff members who spend their whole day with their cabin of boys or girls. They are role models who assist and motivate campers, whether helping them to learn the backstroke at the pool or listening to their concerns about an issue or idea. Throughout the day, cabin counselors participate in their cabin’s activities and do everything in their power to make each of their campers’ summer the most memorable and enriching possible. 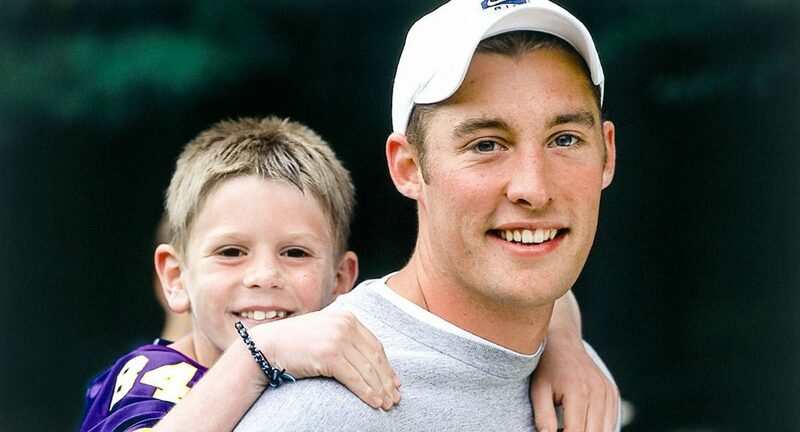 Our counselors combine great patience and warmth with fun and enthusiasm that they offer to their campers. Unit Leaders have multidimensional responsibilities within their cabin groups. Our Unit Leaders bring many years of camp experience to this supervisory position. This position demands organization, creativity and enthusiasm. 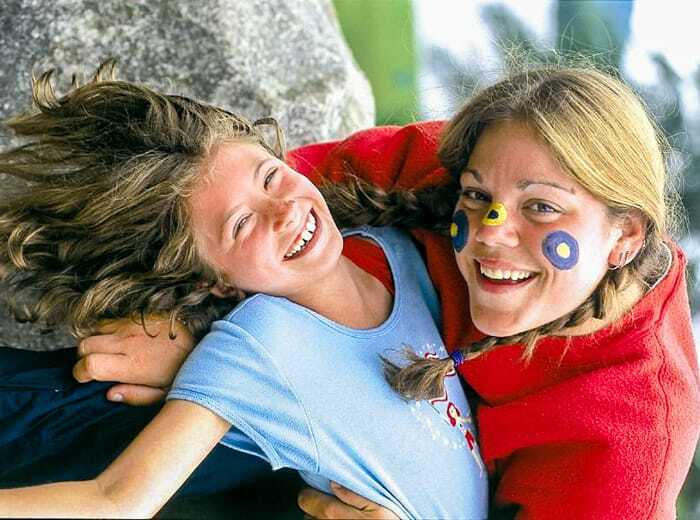 Unit Leaders do not live in cabins with campers, but utilize their organizational experience to act as a liaison between staff members in two to four cabins, campers, and Area Directors. Unit Leaders are a terrific resource for campers and counselors alike, as well as for parents. Our Area Directors are enthusiastic, creative and energetic individuals who have the ability to manage large groups of people. Area Directors are mature adults responsible for 20 to 30 staff members and 100 campers. The Area Director is required to help plan and facilitate orientation and ongoing area training, plan group events with the assistance of Unit Leaders, problem-solve with counselors and campers individually, meet regularly with Carolyn and Jed, and talk with parents. Camp Walt Whitman’s Athletics Staff prides itself on its team spirit. Though each coach has a particular interest and experience in one sport, we do not limit them to coaching just one sport and, in fact, encourage coaches to be able to coach another. Our coaches need to be flexible, enthusiastic and well-organized people who can instruct both boys and girls of varying ages (8 to 15) and ability levels. We encourage our coaches to apply their experience to designing their own lesson plans with the assistance of our Athletic Director. Generally, a CWW coach teaches between four and six periods a day, and builds on previous lessons in order to improve knowledge and skill. We expect our coaches to balance skill development and games with lots of fun. Coaches will also have the opportunity to hone their own unique coaching style through tournaments and inter-camp competitions. This position entails teaching up to six classes a day separately to boys and girls anywhere between the ages of 8 to 15. After creating your own lesson plans geared at progressive skill development, and most of all having fun, your days will be spent coaching on our three different soccer fields. Of course, the most important element is your own enthusiasm for the game and for teaching children. On our four full-length basketball courts, you will spend your days separately teaching boys and girls the basics of the game: from dribbling and passing to layups and jump shots. 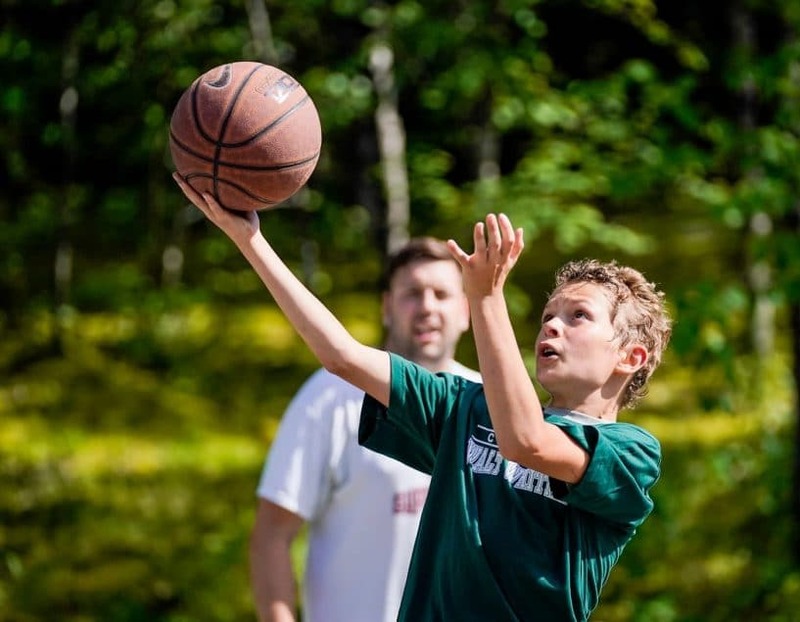 Creating your own lesson plans, you will have the opportunity to develop the skills of campers while also imparting your knowledge of basketball strategy in a game setting. You will also have the opportunity to coach inter-camp challenges. We utilize three outdoor courts, one indoor court in our sports pavilion, and a half court for shooting drills. Our baseball coaching positions are full-time positions where you will be teaching boys the fundamentals of America’s pastime, as well as imparting knowledge of the game itself during games and inter-camp challenges. While creating your own lesson plans, you will have the opportunity to hone your coaching skills. You will work with campers in our batting cage and on the field to develop their skills and game knowledge. At Camp Walt Whitman, archery has been a staple of our program for decades. Our instructor takes time to work with groups of campers on the mechanics of archery, emphasizing safety, while also offering one-on-one instruction. Our most successful archery instructors bring their creativity to the archery range to add fun and excitement to the challenge. Camp Walt Whitman’s softball field bustles with girls throwing and catching, while the crack of ball hitting bat is a constant throughout the day. Our softball coach teaches class from 9 AM to 4 PM with a break for lunch and a period off. Our classes are a balance of skill development and games, with our coaches’ own unique styles incorporated. While coaches teach campers how to compete, we encourage creativity, positivity and an atmosphere of fun. In the midst of our upper sports complex is our street hockey rink. Classes run for an hour-long period with four to six periods in a day, balanced between skill instruction and games. 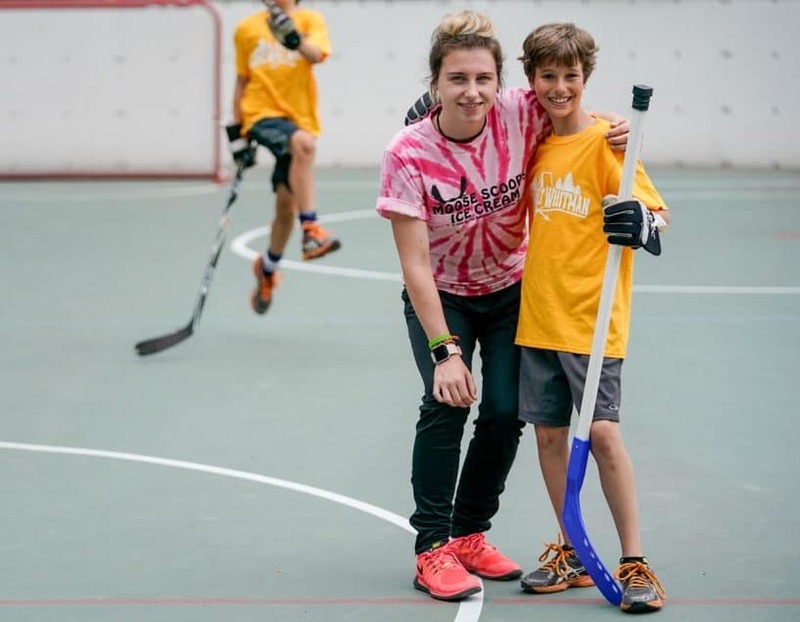 We promote a fun and participatory environment that allows our campers to feel comfortable enjoying the game and that encourages creativity in our coaches. Our lacrosse coaches have full use of our lacrosse field and equipment for both contact and soft lacrosse, enough to fit two teams. Coaches are encouraged to incorporate their own creativity into classes that balance skill instruction along with game action. Each day is filled with coaching, as you will be teaching four to six periods a day in the beautiful New Hampshire setting. Our fitness/weight training program has taken off at CWW since we built a new Fitness Center a few years ago. Utilizing our free weights and machines, our fitness instructors teach group lessons as well as provide older campers with customized individual workouts to meet their needs. In our beautiful dance studio, our dance instructor at Walt Whitman is teaching our 7- to 15-year-old girls four to six hours of dance each day. While primarily teaching jazz and hip-hop, our instructors help our novice dancers learn to feel the rhythm as well as providing advanced instruction to our more experienced dancers. Our dance instructor will guide our campers in dance inter-camps, as well as help choreograph individual dances for our camper talent shows. Our gymnastics pavilion is one of the most popular destinations in camp. Our gymnastics instructors teach our campers tumbling and floor exercises on our spring floor, work on balance and technique on our beams, focus on basics with our uneven bars and show our campers how to soar on the vault. Safety is obviously our top concern. Our gymnastics instructors teach four to six classes each day, as well as prepare our campers for inter-camp competitions. Camp Walt Whitman’s tennis program is among the very best in camping. 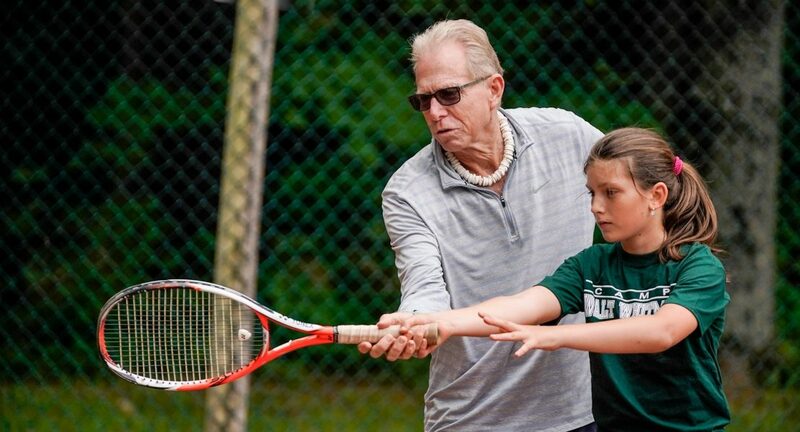 Our tennis instructors have the opportunity to teach lessons to campers between the ages of 8 and 15 on 11 beautiful clay courts in both group and individual classes. Dave Porter, an 11-time national champion, head coach at BYU-Hawaii and past president of the USPTA, directs this program and also provides instruction for his coaches. Under gorgeous New Hampshire skies, our tennis coaches have the opportunity to gain great teaching experience in both skill development and theory, to coach in tournament and inter-camp competitions and to develop as players themselves. Every day our waterfront is alive with activity. Beneath the summer sun and amidst a beautiful mountain and forest setting, our swim instructors teach kids different strokes in our heated pool or sparkling mountain lake. The waters of Lake Armington also allow our boating instructors an opportunity to teach campers about canoeing, sailing, windsurfing and paddle boarding. Our waterfront instructors make up a dynamic team that works well together while also having the freedom to work independently to develop their teaching styles. Safety is naturally the number one concern on our waterfront. As a CWW waterfront specialist, you will be expected to model responsible behavior. Swimming is a vital component of CWW’s day. Whether in the crystal waters of Lake Armington or in our heated pool, our campers have the opportunity to swim daily. Our instructors teach lessons throughout the day that conform with American Red Cross standards, including levels I through VII. Along with teaching lessons, you will have the opportunity to create specialty classes such as synchronized swimming, snorkeling and water games. During free swim periods, swim instructors will be expected to lifeguard. Daily upkeep of the pool and waterfront area will be an additional responsibility. What better way to spend an afternoon in New Hampshire than to take a canoe or sailboat out on Lake Armington? Our campers have this opportunity, and as a boating instructor, this is how you will spend your days: teaching campers the basic boating skills of canoes, kayaks, funyaks, sailboats, paddle boards and windsurfers. Lessons will cover everything from rigging the boats for use, necessary skills for piloting the vessels and, of course, safety. Along with teaching exciting and creative classes, our boating instructors will be expected to maintain the boats and docks. Waterskiing, wakeboarding and kneeboarding are some of the most popular programs at Camp Walt Whitman every summer. As a wakesports instructor, you will be spending your days on a beautiful New Hampshire lake teaching and demonstrating the fundamentals as well as other tricks of skiing, wakeboarding and kneeboarding. Our instructors must also have experience as boat drivers and will be required to pass the state of New Hampshire’s boat license exam. Our campcraft positions are a haven for those who relish the great outdoors. Camp Walt Whitman is located in the heart of the White Mountains, some of the most beautiful hiking country in the northeastern United States. The Appalachian Trail runs through New Hampshire, and many of the hikes that our campcraft specialists lead are on these trails. Hiking is a major component of our program, as each camper will hike once a week. We are located in the beautiful White Mountains and we take full advantage of our geography. On our hikes and overnight traverses, our goal is for our campers to enjoy the beauty of the outdoors while challenging themselves to live without their normal comforts. Our older campers have the opportunity to go on three-to-five-day overnight backpacking trips, as well as overnight canoe and bicycle trips. Applicants for these positions must have extensive hiking and camping experience, experience working with children, and a tremendous enthusiasm that they can happily convey to groups they are leading. This is a position of great responsibility, and keeping our campers safe is our number one priority. Located in the White Mountain forests and alongside Lake Armington, Camp Walt Whitman has the resources that any nature lover would fawn over, which is what we hope for in our nature instructor. Our nature program is very hands-on, as kids will bring all kinds of creatures they find into our nature shack, which is filled with aquariums and books for campers to investigate. During our nature periods, our younger campers (8 to 11 year olds) engage in a variety of different activities such as tree and plant identification, rock collecting, bird watching, nature games, science experiments, recycling and conservation education, and simple observation skills. The Ropes Courses at Camp Walt Whitman include many high and low ropes elements integrated into our beautiful forest setting. Our instructors may find themselves hanging 40 feet in the air from the climbing wall or showing a camper how to fasten a harness. 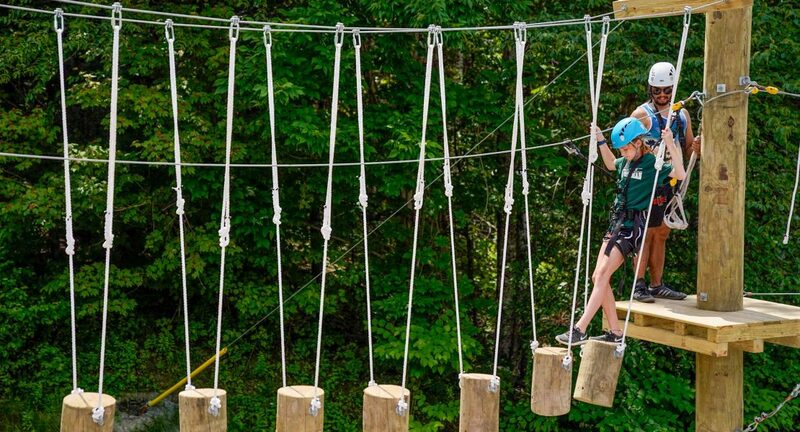 Our instructors spend time teaching the basics of trust and teamwork on our low ropes elements before moving up to the more advanced and challenging high ropes course and the Aerial Adventure Course. Safety is essential, as is an enthusiastic personality. 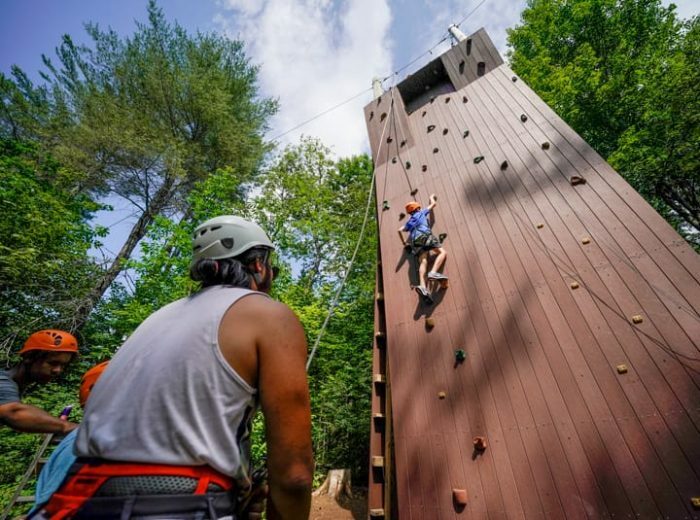 In addition, our older campers have the opportunity to experience rock climbing at Rumney Rocks in Rumney, New Hampshire—an adventure that our instructors help to facilitate alongside hired climbing guides. A broad spectrum of arts programs provide many outlets for campers’ creative interests. Our programs are designed for all age groups and ability levels, and whether it be visual or performing arts, the enjoyment of the art form is our goal. Camp Walt Whitman’s art studio offers a wide variety of resources and activities for campers to engage in. The walls of our studio are blanketed in watercolor paintings, papier-mâché masks and silk-screened t-shirts. Those who work in our art studio create projects that challenge our campers’ creativity. Along with daily activity periods, our art instructors will have the opportunity to teach more extensive projects during our week-long SIG periods and to offer assistance and supervision during elective periods. Our art studio staff also provides assistance with creating sets for our theater productions and other special events. The sound of hammers pounding and saws buzzing is a constant at Camp Walt Whitman. In the confines of our woodshop our campers have the opportunity to create a range of projects, from the simple to the complex. Some projects include bookshelves or mailboxes, wooden pens and bowls, plaques that campers can send home to their parents or Adirondack chairs for the porches of cabins. Above all, our woodshop instructors create a safe environment that encourages creativity. Nestled next to our art studio is our ceramics studio, which throngs of campers seek out on a daily basis. Our ceramicists teach classes during the day that cater to the fledgling potter and sculptor. Pounds and pounds of clay are molded into masks, planters, picture frames, bowls and cups, wind chimes, and animal and human sculptures. Within our fully equipped studio are two large electric kilns that we fire to cone 6, potters’ wheels and a wide range of tools and glazes. We utilize many ceramics techniques, including coil building, slab building, pinch pottery, wheelwork and mosaics. Along with daily classes offered to campers aged 7 to 15, our instructors have the opportunity to offer more in-depth instruction during our SIG periods and free electives. Camp Walt Whitman’s photography specialist is one of the most beloved staff members at camp, as all of our campers love to have their photo taken. Our photographer spends a great deal of time working with digital photography and placing over 150 photos each day on our camp’s website for parents to see. Our photographer lays out a schedule of when and where they will capture photos of each group to assure that all of our campers have their photo posted multiple times each week. For our camp parents, who are located hundreds of miles away, this is how they can actually “see” how their child is doing. In addition to posting daily photos, our photography specialist will teach basic photography skills to our campers. What better place to share your nursing skills than in the White Mountains of New Hampshire? In this majestic setting, our camp nurses play an essential role in the care and safety of our whole camp: campers and staff alike. Our six-person team of professionally licensed nurses works with our Athletic Trainer and full-time in-residence doctor. Your work schedule allows plenty of flexibility, allowing you the comfort and enjoyment of Walt Whitman’s facilities. Imagine wrapping up your shift with a refreshing swim in our lake or pool or reading a book while enjoying the afternoon sun. Accommodations for our nursing staff provide some much needed privacy, as you will have a private room and a screened-in porch. Our health center bustles with the daily bumps and bruises accumulated by kids having fun, along with treating other common ailments. Camp Walt Whitman’s nurses share the shift responsibilities in our health center. Nurses are also responsible for the daily distribution of medication. Along with these duties, our nurses must constantly update charts, medical logs, camp books and supply inventory in the health center. Our nurses also arrange appointments with local doctors, as well as dental visits. Communication with the parents of children under your care is essential. Our office is the hub of the camp, and our office staff works hard to make sure that our campers, staff and parents have everything they need. Our office staff members answer all incoming phone calls and play an important role as the voice of camp to anxious parents hundreds of miles away. In addition to phone duties, our office staff perform many administrative tasks throughout the day, ensuring that camp runs smoothly. Within our spacious staff lounge, Camp Walt Whitman houses a full kitchen. Staff gather here in the evenings to watch movies and dine on burgers, chicken sandwiches, chips, yogurt and fruit, along with specialty recipes created by our CK cook. Our kitchen is open from 9:00 pm till 11:30 pm. Along with cooking, we expect our CK cook to maintain a clean kitchen, as well as keeping the staff lounge clean. While evenings are spent providing our staff with additional comfort foods, the CK cook’s days include three to four hours of cooking instruction with campers. This activity is a camper favorite, as children learn how to make everything from cookies and brownies to chicken parmigiana. Our programming office is the nerve center of Camp Walt Whitman. Scheduling for our 400 campers is done here, and we also create our daily newsletter, the “Walt Street Journal,” which is a delight for the campers. They can’t wait to pore over it at lunch. All of our programming work is done with Microsoft Excel, FileMaker Pro, Microsoft Word and Adobe Photoshop. Our kitchen support staff are crucial members of the Walt Whitman family, providing essential services respected by everyone in our community. The kitchen and dining areas bustle with energy as we serve three meals a day to over 600 people. Working in the White Mountains of New Hampshire affords all staff members a terrific natural setting, and all kitchen staff are encouraged to use camp’s facilities in their off time. Three key areas come together to form our whole kitchen support staff: kitchen prep, dish room, and dining room service. Our kitchen prep crew assists our camp chefs in preparing the delicious meals served each day. Those who are involved in the kitchen prep work must have experience in food preparation, including salads, vegetables, soups, etc. Our dish room team completes each meal, providing the needed skills to wash each meal’s dishes, pots and pans. For those working in our dining room, the responsibility of setting up and cleaning up for meals rests in your hands. This includes supervision of our salad and buffet bars, sweeping and mopping the floors, and adding to general dining enjoyment.